The name Battambang or Batdambang, literally means “loss of stick” referring to a legend of the Preah Bat Dambang Kranhoung (Kranhoung Stick King). It’s a riverside town, home to some of the best-preserved, French colonial architecture in the country. The small museum has a collection of Angkorian-era artifacts, and beyond the town there’s a number of hilltop temples, yet more Wats and a pretty large lake. One of the more famous hills is Phnom Sampeau (Ship Hill) with the notorious killing caves. Get away of Siem Reap, take your 2 days trip to Battambang and get new experience. Siem Reap, Battambang tour is going to empress you with amazing sight and experience. 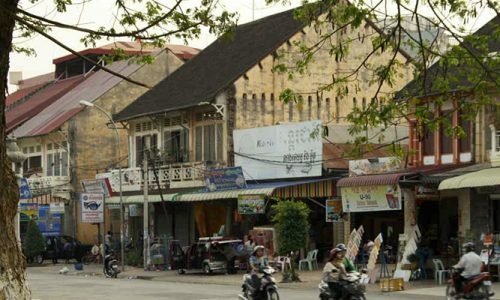 Battambang has a unique charm among Cambodia’s larger urban centres.